During the holiday, the Fuxian Lake, the Stone Forest, Luoping Jiulong Waterfall, Lijiang Yulong Snow Mountain, Yunnan Nationalities’ Village are among the top five scenic spots mostly visited by tourists who were not only enchanted by the natural landscapes, but also amazed by the colorful ethnic cultures in the province. As Yunnan is a Chinese province adjacent to South and Southeast Asian countries, the cross-border travel also booms. “We launched long and short travel routes to Vietnam. And these products were very popular among tourists,” said Tao Ying, market manager of Hekou International Travel Agency. According to Kunming Customs, from February 4th to 6th, 16,723 people were checked crossing the China-Vietnam border via the Hekou landport. 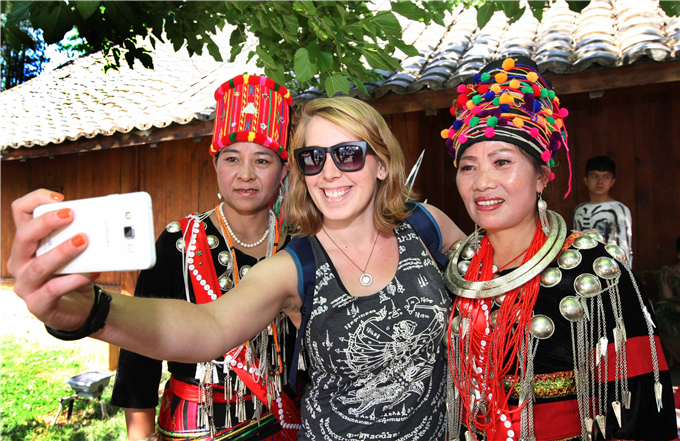 The “Travel in Yunnan” app created new smart tourism experiences for tourists. “I entered the scenic spot via facial recognition. It’s really amazing. The smart toilet and the digital guide are also very good. I hope the functions can be applied to more spots,” said Mr. Huang from east China’s Fujian Province after visiting the Yulong Snow Mountain scenic spot.